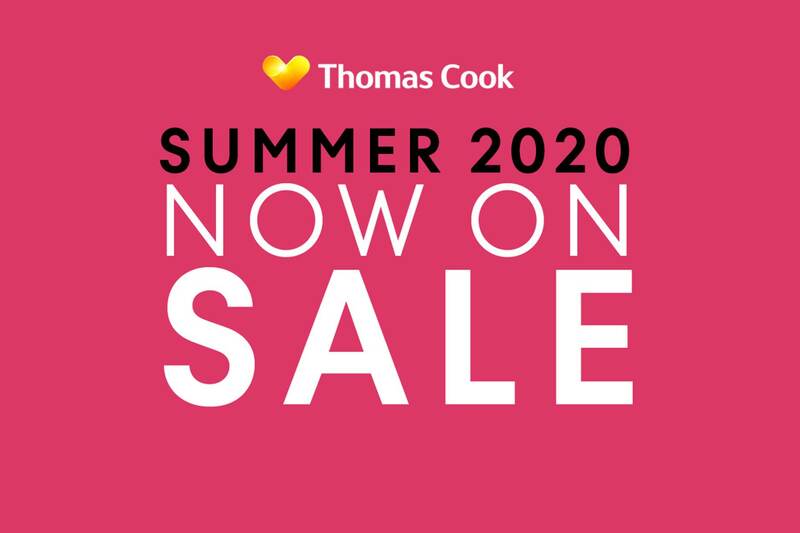 If you’ve already got your 2019 summer holiday planned and want to start planning ahead for next year, you’re in luck, because summer 2020 is now on sale at Thomas Cook! 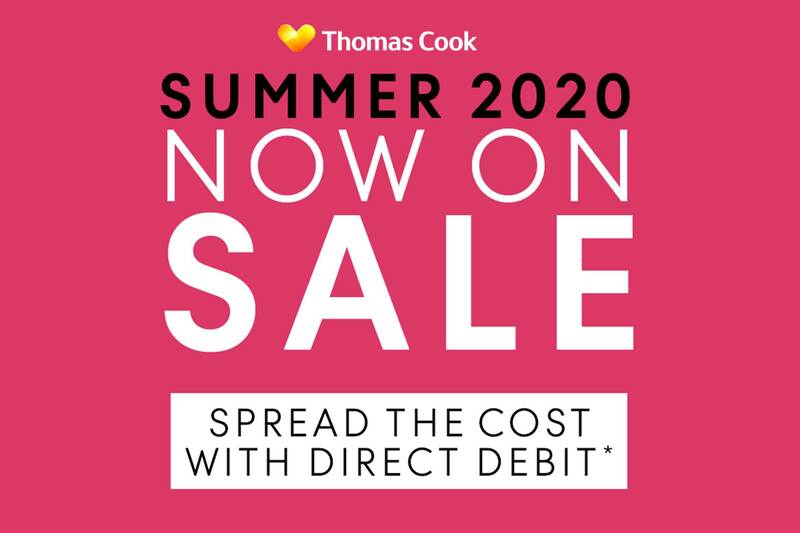 Plus, Thomas Cook are also offering FREE kid’s places and the chance to spread the cost with direct debit. *T&C’s apply. See below to find out more. 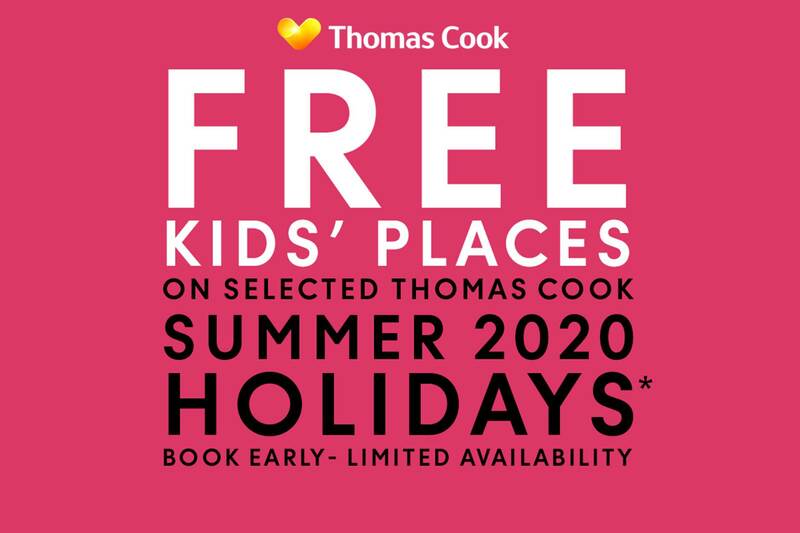 *Free Kids’ places are available on selected Summer 2020 Thomas Cook branded package holidays departing on selected dates between 01 May – 31 October 2020, where the first child shares a room with a minimum of 2 people each paying the full adult price. Maximum one free place per booking. There are a limited number of free kids’ places available at selected properties. When these places have sold out, we’ll offer our lowest available current child price at the time of enquiry. Only the basic holiday cost will be free, supplements will apply for optional extras booked. Child age limit for free place varies by accommodation. Offer can be withdrawn or altered without notice. Booking conditions apply and holidays are operated by Thomas Cook Tour Operations Ltd ATOL protected 1179, ABTA V6896. *Applies to selected Thomas Cook, Airtours and Manos branded package holidays booked 12 weeks or more before departure. You must pay a low deposit when booking and sign up to pay remaining holiday cost by monthly Direct Debit instalments, with the final payment to be made no later than 3 weeks before departure. Charges will apply if Direct Debit is not set up, or if you (or we) have reason to cancel your booking or your Direct Debit plan. For details of how to set up the Direct Debit and full Direct Debit terms and conditions, please ask in store. Holidays operated by Thomas Cook Tour Operations Ltd, ATOL 1179, ABTA V6896. TCCT Retail Ltd (ABTA L8164) act as agent for ATOL protected tour operators.